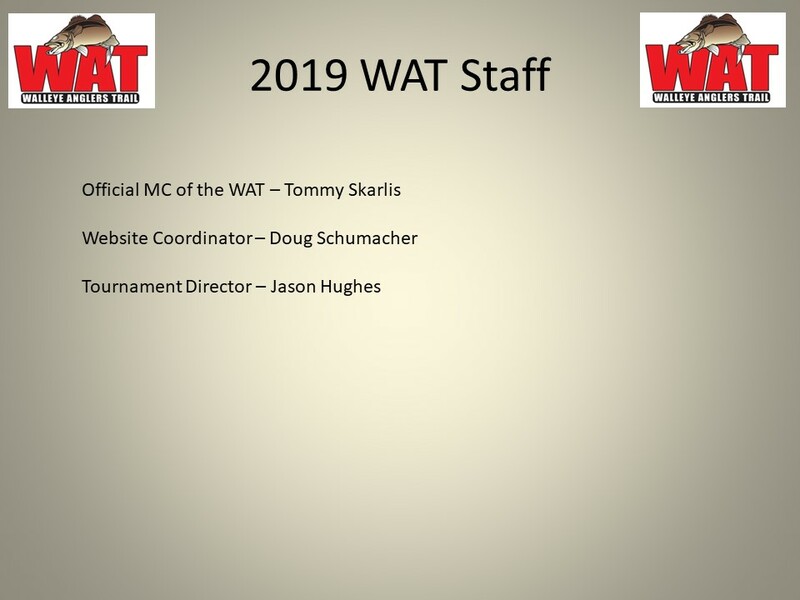 Welcome to the WAT season for 2019! 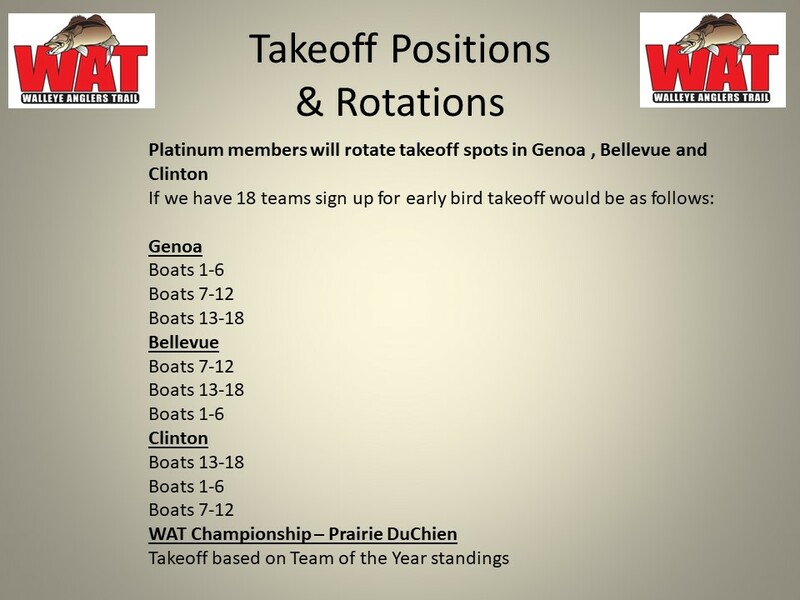 The 2019 Walleye Anglers Trail season kicks off in Genoa, Wi on Sunday April 7th. Anglers expect higher than normal spring flooding, with heavy snowpack surrounding the area and to the north. 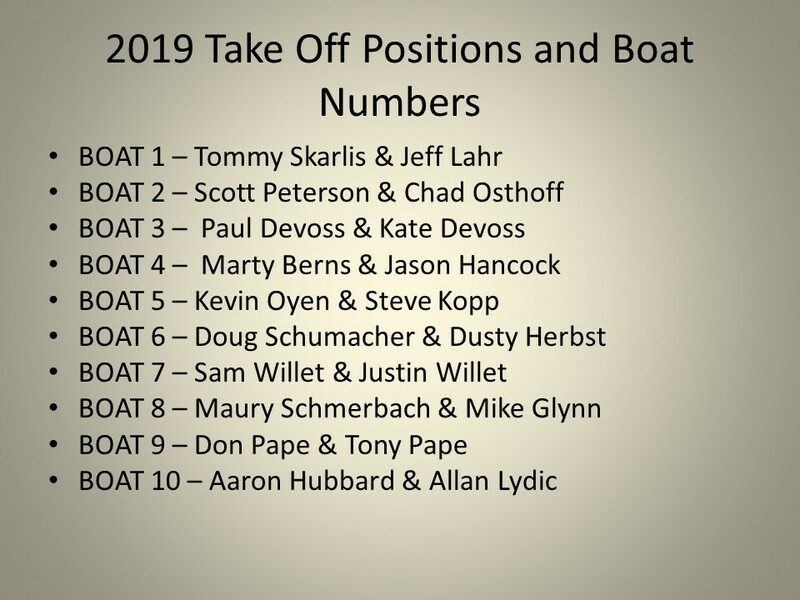 A little high water won’t be enough to scare away of the 18 boats currently signed up ready to shake off the winter cabin fever and get out on the water after river gold. New for the 2019 Season. 2018 Championship will take place May 19th 2019 in Dubuque, Iowa out of Catfish Charlies. DUBUQUE — Dubuque’s father-son team of Jerry and B.J. Eiben will try to finish what they started when the 2018 Walleye Anglers Trail season wraps up with its championship tournament Sunday Oct. 14 on pools 11, 12 and 13 of the Mississippi River. There will be plenty at stake for the field of approximately 30 two-person teams, including the Team of the Year and Championship titles, berths in next year’s Cabelas National Team Championship tournament and more than $7,000 in prize and contingency money. The Eibens opened the season with a victory on the Illinois River at Spring Valley, Ill., and followed with fourth-, eighth- and 20th-placefinishes. They’ll take a 29-point lead over Dubuque’s Marty Berns and Jason Hancock into the finale with defending Team of the Year John Smith and Gary Merkel lurking in third place 40 points behind. However, the W.A.T. format adds a twist to things by allowing teams that fish all five events to discard their poorest finish of the season. With the Mississippi rocking and rolling through a tumultuous fall with relentless rain, anglers will likely be dealing with high water, plenty of current and water clarity that could be poor. “Somebody’s going to find fish,” said Eiben. “The high water will kill the bite on the wingdams, which is our strength. Before the river went back up again, back when it was around eight or nine feet, we were catching some really nice fish in the wingdams. “You never know with some of these guys, but I don’t expect any 40-pound bags. There will be some big fish caught, but I don’t think they’ll be grouped up. I think they’re spread out all over. The catch-record-release tournament launches from American Marine Harbor by Catfish Charlie’s in Dubuque at 7 a.m. with the video weigh-in set for Catfish Charlie’s in Dubuque at 4:30 p.m. The public is also invited to a seminar Friday, Oct. 12 feature Merkel and John Smith with W.A.T. emcee Tommy Skarlis. That takes place at approximately 7 p.m. at Catfish Charlie’s. GENOA, Wis. — The Walleye Anglers Trail hits pools 8, 9 and 10 of the Mississippi River June 24 for the last of four 2018 regular-season tournaments. A field of approximately 30 teams is expected for a rare June event on the upper Mississippi. Anglers will face challenging conditions with rising water, heavy flow and changing clarity. In addition to the regular and optional prize money and contingency bonuses, the two-person teams will also be jockeying to improve their position for the season-ending championship in October where the Team of the Year will be crowned. The father-son team of Jerry Eiben and B.J. Eiben hold a sizeable, 84-point lead in the points standings over defending Team of the Year John Smith and Gary Merkel of Illinois after three events. Mike Bisdorf and Tyler Riegler of Dubuque are third with Mary Berns and Jason Hancock of Dubuque fourth and the father-daughter duo of Paul and Katie DeVoss fifth. Teams are allowed to discard their poorest finish of the year, which will keep the Team of the Year title up for grabs until after the championship. Tuna’s Bar in Genoa will host the W.A.T. registration, rules meeting and pre-tournament seminar at 6:30 p.m. Friday, June 22. The video weigh-in for the catch-record-release event will also be held at Tuna’s beginning at 4:30 p.m.
Prairie du Chien, Wis. — Local knowledge went a long way when everything changed for the third Walleye Anglers Trail qualifier of the season June 3 on pools 9-10-11 of the Mississippi River. After several days of stable weather and a good bite, heavy rain, a 30-degree drop in the temperature and 20-25 mph northwest winds left a field of 29 teams scrambling to find cooperative fish on tournament day. The Prairie du Chien father-daughter team of Paul DeVoss and Katie DeVoss put together a winning catch of five walleyes for 21.31 pounds as local anglers claimed three of the top four spots. Eric Nelson and Scott Peterson of Wisconsin were second with three fish for 19.86 pounds, including a 9.35-pounder, Mike Bisdorf and Tyler Riegler of Dubuque took third at 19.31 pounds, and Tom Beck and Rob Lampman of Wisconsin were fourth with three fish for 18.56 pounds. Their catch included a 9.62-pounder that was the big fish of the tournament. The DeVosses got off to a fast start before the winds kicked up, then built on their weight late in the day. “We had our first three in about six minutes,” noted Paul, who teamed with Katie for an impressive runner-up finish at the Cabela’s National Team Championship at La Crosse, Wis. “It was crazy. I had to slow everything down to barely cranking, but it was bang, bang, bang early with cranks. Team DeVoss then ran north to another spot and upgraded two of their fish, then finished the day with a bang. They never expected that would be enough weight to win. 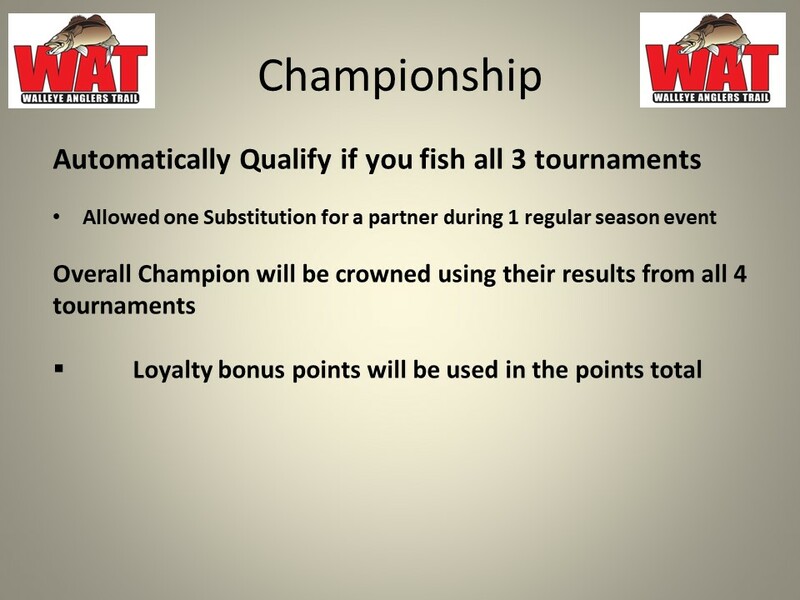 The final qualifying tournament of the W.A.T. season is June 24 on pools 8-9-10 of the Mississippi at Genoa, Wisconsin. 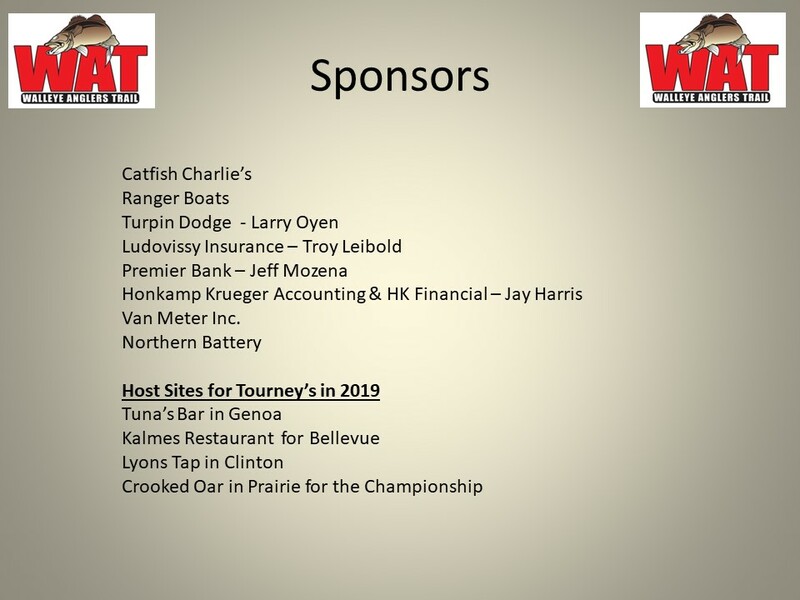 PRAIRIE DU CHIEN, Wis. — The Walleye Anglers Trail visits Prairie du Chien and pools 9, 10 and 11 of the Mississippi River Sunday, June 3 for the third qualifying tournament of the 2018 season. With water levels returning to more seasonal norms, the bite is expected to be good for a field of approximately 30 two-person teams that will launch from the ramp on County Road K at 7 a.m. The video weigh-in for the catch-record-release event begins at 4:30 p.m. at the Crooked Oak Bar and Grill in Prairie du Chien. Prairie du Chien has been a frequent stop for the W.A.T., but typically not in the spring. Of the last six tournaments originating on Pool 10, only one has taken place in June. Chad Osthoff and Tad Boardman won that 2016 tournament with a four-fish catch weighing 20.41 pounds. The Dubuque father-son team of Jerry and B.J. Eiben will be trying to stretch their lead in the season points standings at Prairie. The Eibens are off to a strong start (208 points) with a victory in the season-opener at Spring Valley, Ill., and a fourth-place finish April 22 at Bellevue, Iowa. Marty Berns and Jason Hancock of Dubuque stand second with 174 points, followed by 2017 Team of the Year Gary Merkel and John Smith of Illinois with 173 points. 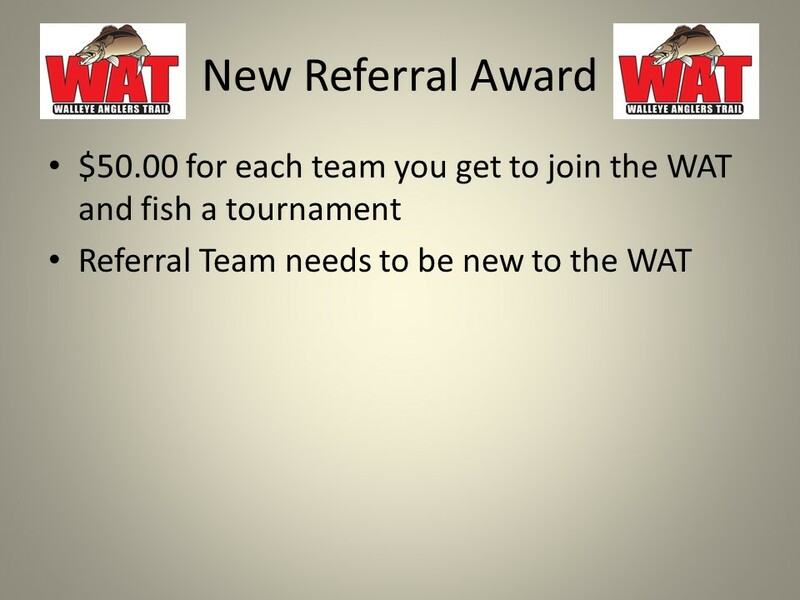 The public is invited to join W.A.T. anglers Friday at approximately 6:15 p.m. for a seminar featuring the Prairie du Chien father-daughter team of Paul DeVoss and Katie DeVoss, who are coming off an outstanding runner-up finish at the 200-team Cabela’s National Team Championship on the Mississippi River at La Crosse, Wisconsin. For more information or to register for the Prairie du Chien tournament ($250 per team), call (563) 581-1203 or email watdirector@gmail.com. Bellevue, Iowa — Dubuque anglers Dave Flury Jr. and Jamey Streif knew they had a good thing going heading into Sunday’s Walleye Anglers Trail qualifier on the Mississippi River at Bellevue. Their only question was whether they would get a chance to fish the spots where they were going. Unseasonably cold water temperatures in the mid-40s, a slowly rising river and poor water clarity added up to challenging conditions for the 26 teams in the second qualifier of the 2018 season, but Flury Jr. and Streif put together a five-walleye limit weighing 29.23 pounds to edge Mike Bisdorf and Tyler Riegler of Dubuque’s 25.83-pound catch for the win. “Where we went, I can’t believe being boat No. 21 that we got the spots we did,” said Flury Jr.
Flury Jr. and Streif found their fish during the last of their three prefishing days and put together a presentation pulling stickbaits to enduce their bites. In their second season as a team, Streif and Flury Jr. got off to a frustrating start. They put a 24 1/2-incher in the boat at their first stop, but had a couple other fish that didn’t stay hooked. “We had two bigger fish on that we lost, so we were kind of bummed about that,” said Streif. “Then we were fortunate enough to get on this other wingdam where we caught a big one the day before. That was pretty much where we stayed. The first pass we had a 26-incher, then a 25, then a 24 … We grinded it out all day. We probably caught eight or 10 fish. Flury Jr. said it was a combination of factors that helped them to their big catch. “We probably should have weighed closer to 40 pounds with the fish we lost,” he noted. “The bites were really light and the fish we caught were barely hooked. Eight teams finished with five-fish limits and 67 total fish were recorded in the catch-record-release format. The average weight of those fish was 4.11 pounds. Dubuque anglers Maury Schmerbach and Mike Glynn finished third at 21.57 pounds, followed by the father-son team of Jerry Eiben and B.J. Eiben at 21.13. The Eibens won the season-opening event on the Illinois River at Spring Valley, Illinois. It was the first W.A.T. victory for Flury Jr. and the second for Streif. They’ve now cashed a check in three of their five tournaments together. “We’ve been a good team so far,” added Streif. “I enjoy fishing with Davey. It seems like if one of us isn’t getting ’em, the other one is. The third W.A.T. event of the season is June 3 at Prairie du Chien, Wis. For more information, go online at walleyeanglerstrail.com. BELLEVUE, Iowa — The second stop along the 2018 Walleye Anglers Trail is set for Sunday, April 22 on the Mississippi River at Bellevue. 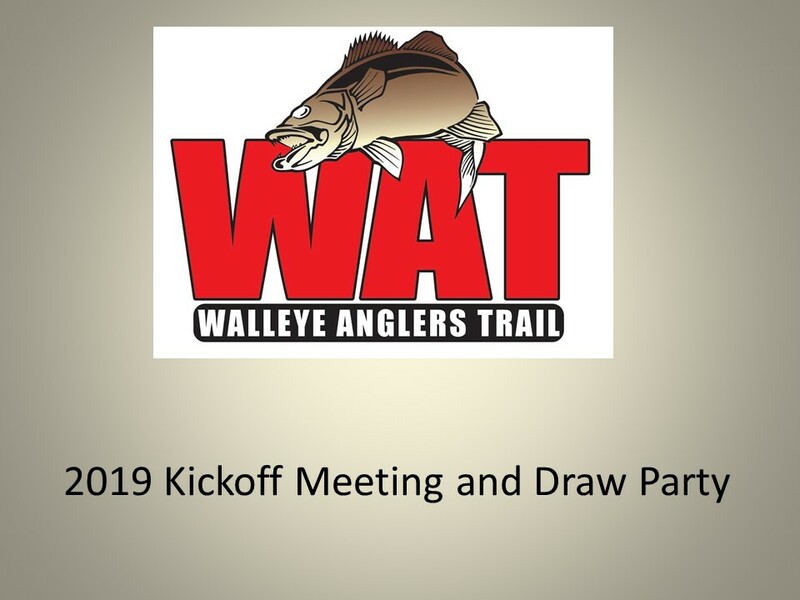 A field of more than 30 two-person teams is expected for the combined W.A.T.-Illinois Walleye Trail tournament on pools 12, 13 and 14. Anglers will launch from Bellevue City Ramp at 7 a.m. with the video weigh-in for the catch-record-release event at 4:30 p.m. at Offshore Event Center in Bellevue. The public is also invited to a Friday seminar featuring W.A.T. veterans Tommy Skarlis, Kevin Oyen and Steve Kopp at approximately 6:30 p.m. at Kalmes Restaurant in St. Donatus. The father-son team of Jerry Eiben and B.J. Eiben will try to follow up their season-opening victory on the Illinois River at Spring Valley, Illinois, where Clayton and Bob Freiburger (third) and Marty Berns and Jason Hancock (fourth), also posted outstanding finishes. They, along with the rest of the field, could experience a challenging bite at Bellevue where the W.A.T. last contested a spring tournament in 2011. Anglers may also encounter a rapidly changing river. After several weeks of low water levels and unusual water clarity by spring standards, heavy rains could make for an entirely different playing field by tournament day. Nonetheless, Miller expects a few teams to put together decent weights. For more information or to register for the event, visit the W.A.T. website at walleyeanglerstrail.com. SPRING VALLEY, Ill. — Jerry Eiben and his son B.J. didn’t have any preconceived visions of grandeur when they hit the water March 11 to begin the 2018 Walleye Anglers Trail season on the Illinois River at Spring Valley, Illinois. 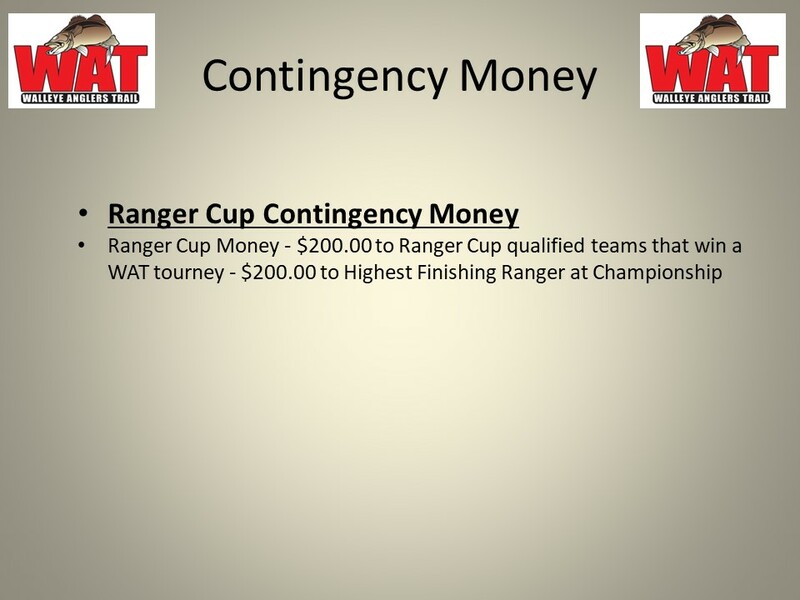 In fact, they opted to forego the optional side pot that can add more than $1,000 to the winning purse. 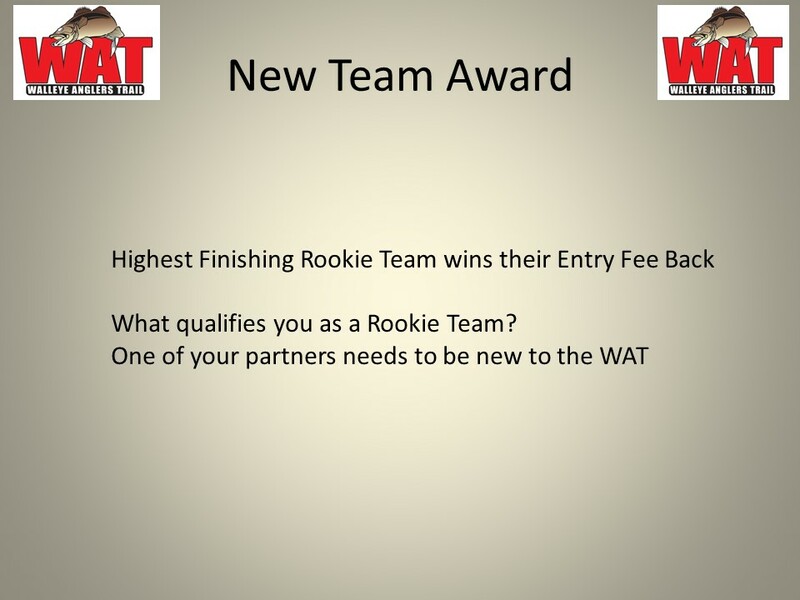 Like many of the 40 teams in the combined event between the W.A.T. and the Illinois Walleye Trail, the Eibens were simply hoping to be competitive and get their season off to a solid start. Even when B.J. weighed in a six-fish limit of 13.42 pounds late Sunday afternoon, he didn’t expect that catch to hold up against a field of the country’s best river anglers. When the last basket of fish hit the scales, nobody could beat the Eibens’ catch. In a tournament where 27 teams caught limits and the difference between second (12.49 pounds) and 22nd (10.01) was 2.48 pounds, the Eibens posted what amounted to a runaway victory with a consistent basket topped off by a 2.68-pound sauger. The key was catching the slightly heavier female sauger. The Eibens boated 10 legal fish (14 inches or longer) on tournament day and their best five were all females. “I really couldn’t tell you what it was,” said Jerry. “There were guys right beside us catching males and we were catching females. We caught them on four or five different colors so I don’t think the color mattered. We’d catch two at a time and then we’d go for half an our with nothing. B.J. said that while tournament day backed up what he and his father had done prefishing, they did make a couple of adjustments that might have made a difference in a tournament where ounces are important. It all added up to a season-opening win and the second W.A.T. victory for the Eibens in the last five events. “There’s nobody in that W.A.T. field you can ever count out,” said B.J. “Then you go to Spring Valley with the guys down there. Just look at the past Masters Walleye Circuit finishes. It’s the who’s who of river fishing. It really is. SPRING VALLEY, Ill. — The Walleye Anglers Trail kicks off the 2018 season Sunday on the fickle Illinois River at Spring Valley, Illinois. the world, it has also seen a significant spike in its walleye population in recent years. “I think it’s in the best shape it’s been in the last 10 years,” notes IWT director Adam Sandor. The Illinois River’s sauger and walleye have adapted to a change in the primary forage base. conditions. The Illinois River was at flood stage a week ago but has been falling rapidly. That means a lot of current and unpredictable clarity. contingency prizes for the top finishing teams. For more information, go online at www.walleyeanglerstrail.com. DUBUQUE — Gary Merkel and John Smith of Illinois started their first season on the Walleye Anglers Trail with a bang, and they finished it with another. Merkel and Smith won the season-opening event on their home waters of the Illinois River and Sunday at the W.A.T. Championship on the Mississippi River at Dubuque, they locked up the Team of the Year title with a strong, third-place finish. Thanks to a new format this season that allows teams to discard their poorest finish and count only their top four events, Merkel and Smith were able to throw out a 35th-place finish at Clinton. That left them with a first, two thirds and a 10th for 416 points on the season. The father-son team of Jerry Eiben and B.J. Eiben of Dubuque finished second in the final Team of the Year standings with 360 points on finishes of first (Clinton), sixth, 15th and 18th while Waterloo’s Neil Hammargren and Cedar Falls’ Doug Newhoff were third at 358.75 points with finishes of second, seventh, 11th and 11th. Approximately 90 teams fished Walleye Anglers Trail events during the 2017 season. Congratulations to Harry Miller and Mason Jackson on their 2017 WAT Championship Victory! Congratulations to Gary Merkel and John Smith our 2017 WAT Team of the Year! DUBUQUE — It’s all on the line Oct. 8. The Walleye Anglers Trail wraps up the 2017 season with its championship tournament on pools 11, 12 and 13 of the mighty Mississippi River. A total of 26 teams qualified for the catch-record-release championship event, which launches at 7 a.m. from Schmitt Harbor in Dubuque and concludes with a 4:30 p.m. video “weigh-in” at Catfish Charlie’s. 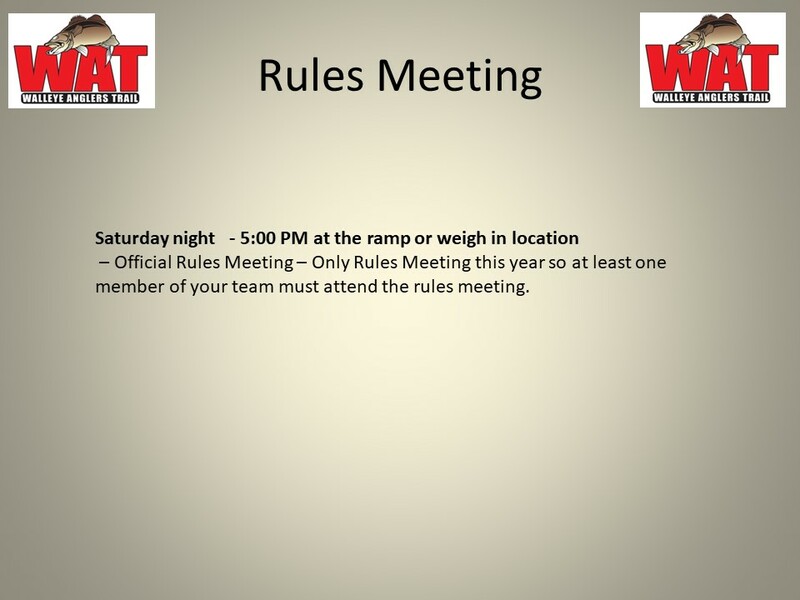 The final event of the W.A.T. season will also determine the 2017 Team of the Year. Fans are also invited to a 6:30 p.m. seminar Friday at Catfish Charlie’s where Clinton tournament winners Jerry and B.J. 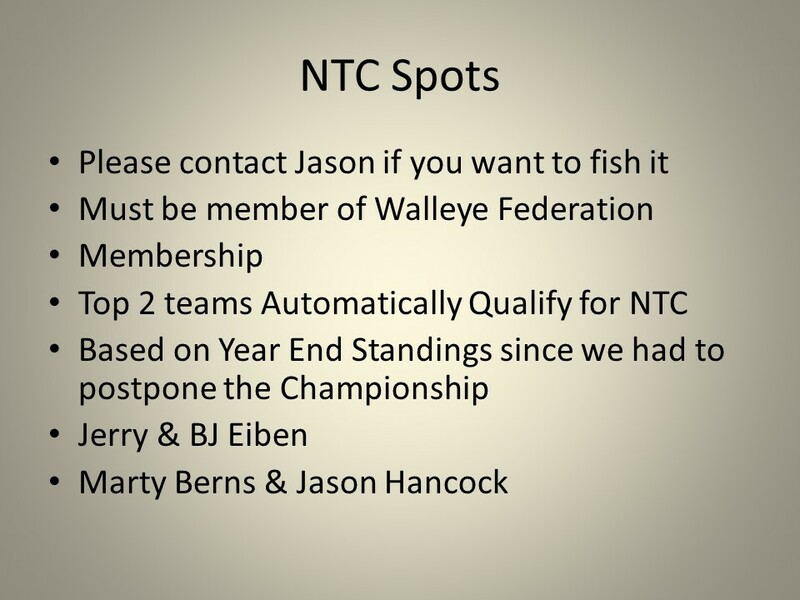 Eiben, along with host Tommy Skarlis, will talk about their favorite techniques and presentations for river walleyes. To win the championship, anglers will likely need a big weight. Last October, Bellevue’s Harry Miller and grandson Mason Jackson won the title with a weight of 34.93 pounds. Two years ago in the season finale in October, Neil Hammargren of Waterloo and Doug Newhoff of Cedar Falls posted a winning weight of 38.76 pounds. Heading into the 2017 showdown for the title, it appears anglers will meet with favorable river conditions for another big catch. The Team of the Year competition adds to the drama and intrigue of the finale. With teams allowed to discard their poorest finish of the season, the coveted title is up for grabs with approximately a dozen teams in contention. Hammargren and Newhoff hold a slim lead over Skarlis and Lahr after the four regular-season qualifiers, but Gary Merkel and John Smith of Illinois and Bryce Nannenga and Jon Habel of Dubuque are also in excellent position to claim the Team of the Year honor. “To be the Team of the Year on this circuit with all these legendary river fishermen would be an incredible honor,” said Hammargren, whose boat will launch No. 1 for the championship. “We’ve put ourselves in a good spot, but so have quite a few other teams. We’re going to have to put together a great tournament, but so are they. BELLEVUE, Iowa — Paul DeVoss and Katie DeVoss made far more than a good check Sunday on the Mississippi River at Bellevue. They also made history and a day of memories that will last a lifetime. Fishing the final regular-season Walleye Anglers Trail event of 2017, the DeVoss duo became the first father-daughter team in the circuit’s 20-plus year history to score a victory. The Prairie du Chien, Wis., anglers finished with a five-fish limit of 31.03 pounds to edge the Dubuque team of Clayton Freiburger and Bob Freiburger (30.77 pounds). Gary Merkel and John Smith of Spring Valley, Ill., were third at 28.03 pounds. With the river in freefall and water clarity poor, prefishing was hit and miss for most of the 27-boat field. It took a few minutes to get it started, but then it was game on for Paul and Katie, whose previous best finishes in three seasons as a team were a third and a fourth last season. The DeVosses caught fish on crankbaits, jigs, blade baits and willow cats. They had 21 walleyes over 15 inches for the day. “It was really cool,” said Kate, who will be a high school junior in the fall. “I wasn’t sure we were actually going to get first. It was amazing. And while Katie has the utmost respect and appreciation for the elite field of champion anglers in the W.A.T., she had to admit it felt good to beat them. The W.A.T. will wrap up its season Oct. 8 with its championship event on the Mississippi River at Dubuque. That event will also determine the 2017 Team of the Year. The boat inspection starts at 5 AM, Fish from 6am to 2pm. Weigh in at Off shore event center. BELLEVUE, Iowa — The Walleye Anglers Trail is headed for a fantastic finish to its 2017 tournament season. 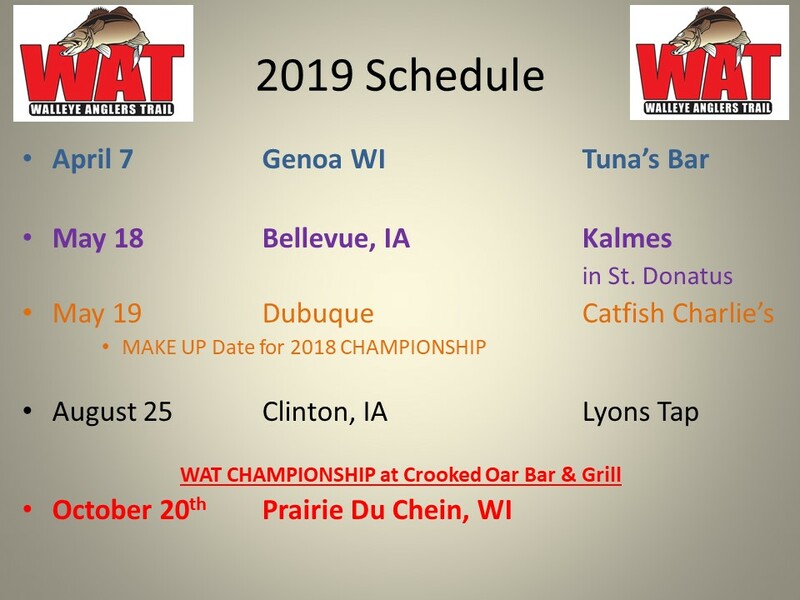 Just two events remain — the July 9 regular-season finale at Bellevue and the Oct. 8 championship out of Dubuque — and thanks to the W.A.T.’s new format this season that allows teams to throw out their worst tournament of the year, the battle for Team of the Year won’t be decided until that final event. Gary Merkel and John Smith of Spring Valley, Ill., won the season-opener. Tommy Skarlis of Denver and Jeff Lahr of Dubuque won at Genoa. The father-son team of Jerry Eiben and B.J. Eiben took the most recent tournament June 25 at Clinton. Neil Hammargren of Waterloo and Doug Newhoff of Cedar Falls hold a slim lead in the season points standings. None of that will matter July 9 when some of the best walleye anglers in the Midwest convene at Bellevue on Pool 13, which has surrendered some of the biggest catches in W.A.T. history. In 2014, Bellevue’s own Harry Miller teamed with Rob Lampman for consecutive wins. First, they won a regular-season qualifier with a five-fish catch of 36.61 pounds. Later that season, they added the River Kings Championship with six walleyes for 41.67 pounds. In 2015, Hammargren and Newhoff set a five-fish W.A.T. record with 38.76 pounds. And last season, Miller and grandson Mason Jackson teamed up to win the W.A.T. championship tournament with 34.93 pounds. 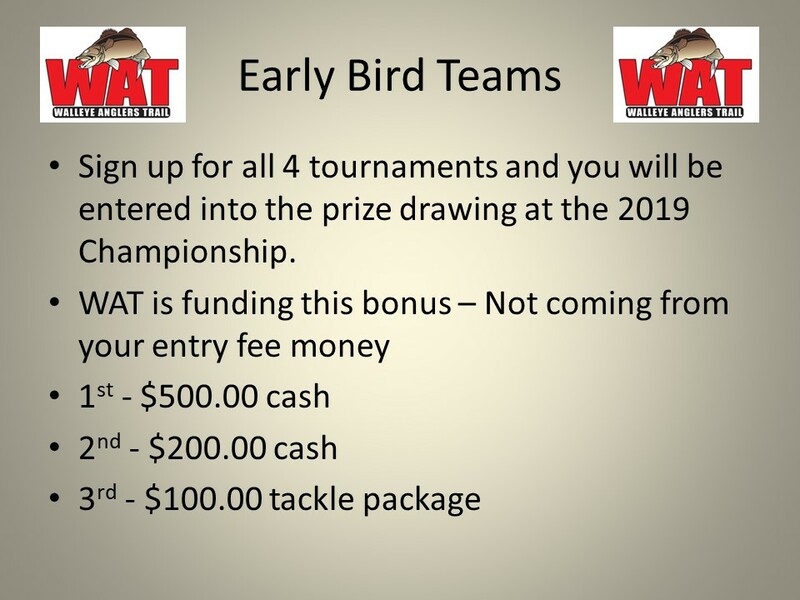 The public is invited to join the W.A.T. staff and anglers Friday, July 7 at Kalmes Restaurant for a 6:30 p.m. seminar featuring seasoned pro Skarlis and the Eibens and again Sunday at the Shore Event Center in Bellevue for the video weigh-in. CLINTON, Iowa — Jerry Eiben and his son B.J. were enjoying a picture-perfect day June 25 on the Mississippi River at Clinton. Fishing the third Walleye Anglers Trail qualifier of the season and second combined event with the Illinois Walleye Trail, the Eibens got off to a tremendous start. In fact, they had 15 pounds of walleye in the boat in the first 15 minutes of the day and a dozen fish boated and logged in the catch-record-release format by noon. That’s when they realized they had nothing to show for what was shaping up as the best tournament day they’d ever experienced. The Eibens knew if they left the wingdam they were fishing to go get a different SD card from Hughes, they’d lose their spot. Fortunately, they had a backup camera in the boat. “We put the chip in that camera about 1 o’clock, and the pictures were there,” said Eiben. It was quite a collection of photos, too. The Eibens had more than 20 walleyes over 20 inches and their five best measured between 24 3/4 and 26 3/4 inches. That added up to 34.06 pounds and their first W.A.T. win as partners. Neil Hammargren of Waterloo and Doug Newhoff of Cedar Falls were second with 32.89 pounds and Clayton Freiburger and Bob Freiburger were third at 30.76. A total of 37 teams competed in the event. Jerry Eiben said three-way rigs with big jigs and slow death hooks tipped with nightcrawlers triggered most of their bites. It’s a technique he’s been using for several years, but one he credits pro angler Eric Olson with helping him refine. Despite a high, dirty river and current that took some areas out of play, the tournament field weighed in 113 total walleyes for 436.60 pounds. “It was a fun day,” said Jerry Eiben. The final regular-season W.A.T. qualifier is July 9 at Bellevue as anglers jockey for position for the championship tournament in October. 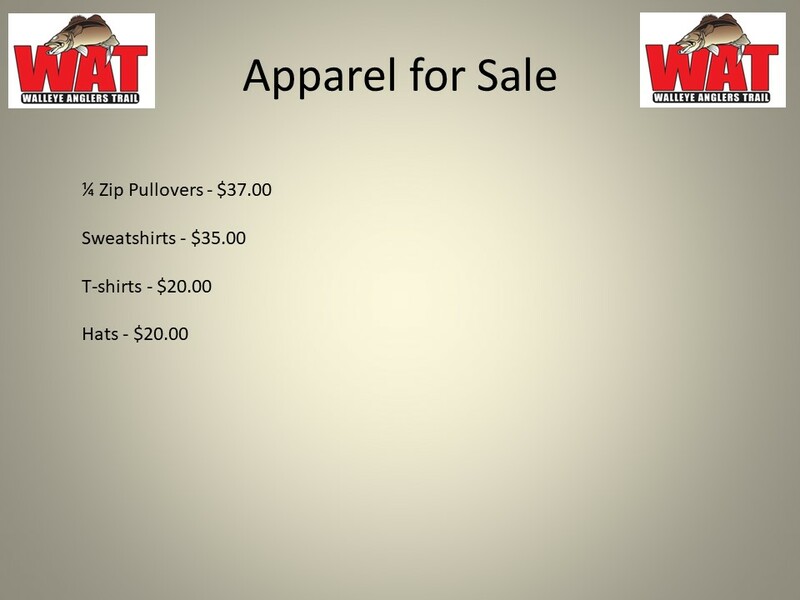 For more information, visit the W.A.T. website at www.walleyeanglerstrail.com. CLINTON, Iowa — The Walleye Anglers Trail returns to the challenging waters of the Mississippi River at Clinton June 25 for the second combined W.A.T./Illinois Walleye Trail event of the 2017 season. A field of more than 60 boats is expected for the catch-record-release event on Pools 13, 14 and 15 of the big river. It’s also the third of four qualifying events for the W.A.T. leading up to the Oct. 8 W.A.T. Championship in Dubuque. 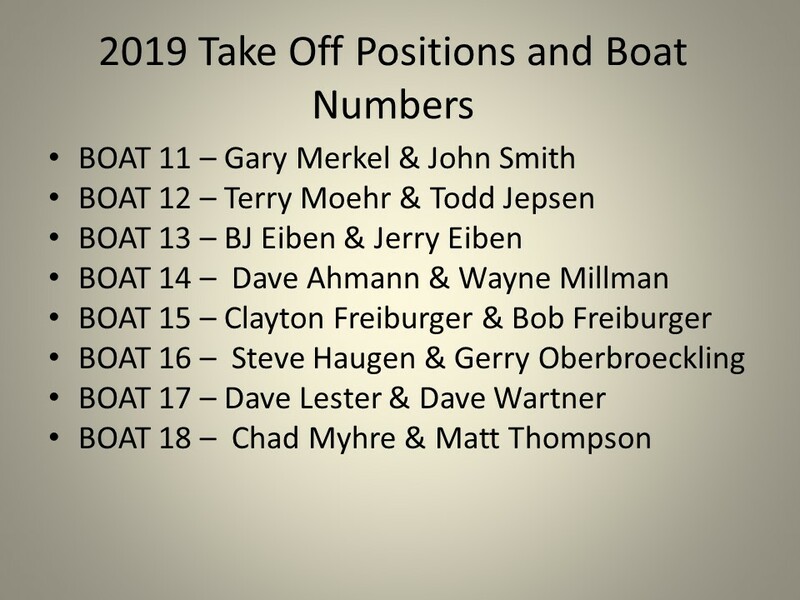 Illinois Walleye Trail anglers Gary Merkel and John Smith top the points standings after the first two events of the season. They won the combined I.W.T./W.A.T. season-opening tournament on the Illinois River at Spring Valley, Ill., and were 10th at the April 2 tournament on the Mississippi River at Genoa, Wis.
Dubuque’s Marty Berns and Jason Hancock are second in the season standings with Genoa winners Tommy Skarlis and Jeff Lahr third. When the W.A.T. visited Clinton last season, Clayton Freiburger and Bob Freiburger grabbed the win with a four-fish catch of 29.37 pounds. Maury Schmerbach and Mike Glynn took second with a five-walleye limit of 26.26, and Don Pape and Tony Pape were third at 23.16 pounds. A video weigh-in for the June 25 tournament will take place at 5 p.m. at Wild Rose Casino, which will also be the location for a seminar featuring walleye pro Tommy Skarlis Friday, June 23 at approximately 6:30 p.m. The public is invited to both events. GENOA, Wis. — Tommy Skarlis has won at the highest levels of competitive walleye fishing. From the Professional Walleye Trail, Anglers Insight Marketing circuit and Masters Walleye Circuit to the FLW Tour, Full Throttle series and Walleye Anglers Trail, Skarlis has won everything from individual events to season championships. Many of those titles came with shiny trophies and cardboard paychecks, but Skarlis will always value the April 2 W.A.T. victory he and partner Jeff Lahr pulled off on Pool 9 of the Mississippi River above them all. On Nov. 6, Skarlis fell from a tree stand while deer hunting in Northeast Iowa and suffered a broken neck. He was air-lifted to La Crosse, Wis., where doctors told him he was lucky to be alive and even luckier not to be paralyzed. Skarlis, a Waterloo native who now lives in Denver, underwent extensive surgery and a grueling rehabilitation that continues today, but a little more than four months after the accident, he was back in the boat for the W.A.T. season-opener at Spring Valley, Illinois. Now he’s back in the winner’s circle after he and Lahr solved a tough bite with a five-walleye limit of 27.39 pounds. Dave Lester and Scott Napiecek finished second with four fish for 14.47 pounds, and Jon Habel and Bryce Nannenga took third with five fish for 13.9 pounds. “The first tournament I ever won when Chad Kincaid and I won the MWC at Big Stone in 1996, that was a huge one, and the FLW in 2012 on the Mississippi River stands out,” says Skarlis. “But we got 10th in a crappie tournament last week in Grenada, Miss., and that little plaque and this one rank right up there because they are part of my recovery. Skarlis and Lahr know what to expect on Pool 9 in April. They won the W.A.T. event there in 2015, were second in 2013 and took third last year. For this year’s tournament, they targeted prespawn female walleyes and coaxed them into biting using double Rapalas on three-way rigs with Do-It Corporation sinkers they make themselves. “My philosophy is you’re not going to win this tournament fishing for male fish,” said Lahr, who lives in Dubuque. “What you have to do is try to figure out where those females are that are waiting to go spawn or moving through areas to get to the spawning areas. Once you figure out those spots, you just have to sit on them long enough for the fish to show up. Skarlis and Lahr adjusted from bright colors that produced for them the day before under sunny skies to darker colors under the overcast skies on tournament day. They had three big fish in the boat by 8:30 a.m. and were well on their way to the victory. Lahr was as happy for Skarlis as he was for himself. GENOA, Wis. — The Walleye Anglers Trail returns to the Mississippi River and Genoa, Wis., Sunday, April 2 for the second qualifying tournament of the season. 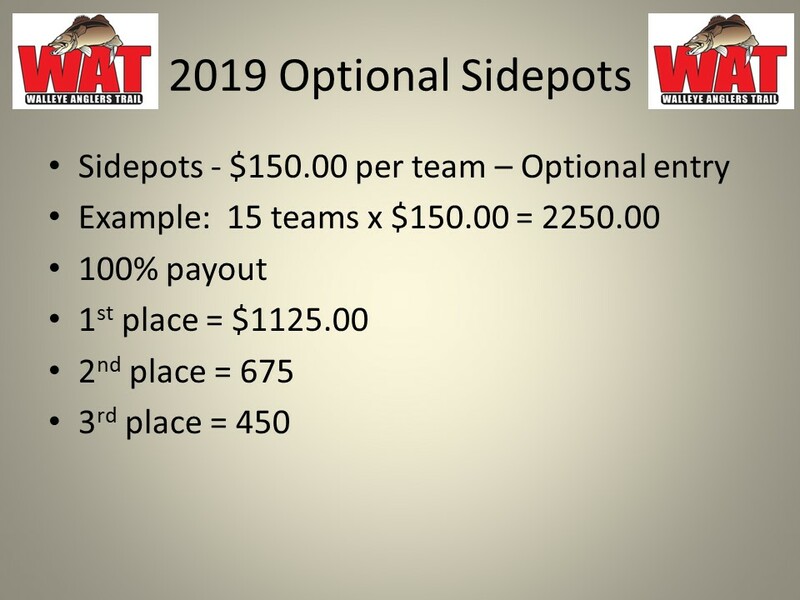 A field of 30 teams or more is expected to compete for a first-place payout that could top $3,000 with the addition of the W.A.T.’s new optional side pot. The W.A.T. kicked off the 2017 season March 12 on the Illinois River at Spring Valley, Ill., in a combined venture with the Illinois Walleye Trail that drew a field of 61 two-person teams. The circuit returns to its traditional format when it visits Genoa for the sixth straight spring. Five different teams have captured victories at Genoa the past five seasons using a wide range of techiques ranging from trolling stickbaits and crankbaits to rigging, vertical jigging, pitching jigs and dragging jigs. 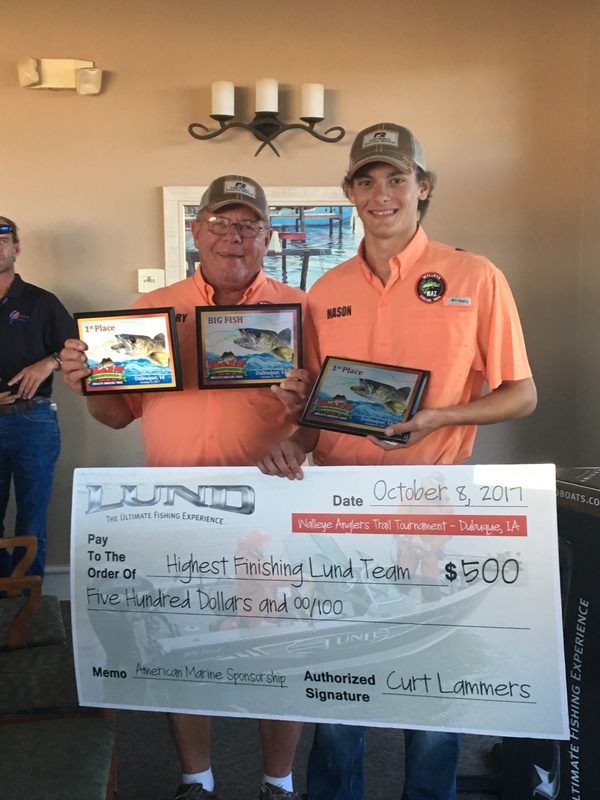 Last April, Harry Miller and grandson Mason Jackson carded a five-fish limit of 26.97 pounds in the catch-record-release format, including an 11.03-pound trophy, to win. In 2015, Tommy Skarlis and Jeff Lahr put together a 20.23-pound catch for the victory. 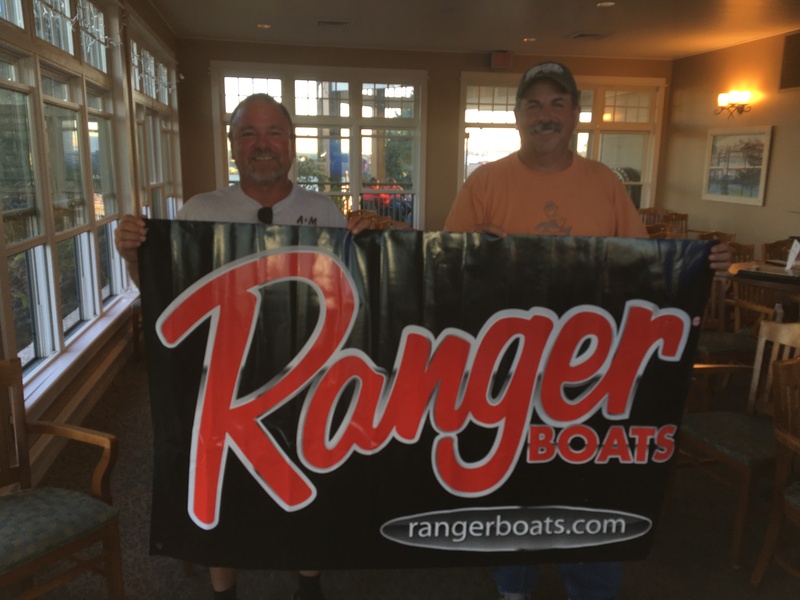 Gerry Oberbroeckling and Tim Ware were the winners in 2014 with 24.04 pounds, Maury Schmerback and Mike Glynn finished at the top in 2013 with 21.15 pounds, and Kevin Oyen and Steve Kopp were the 2012 champions with 15.90 pounds. 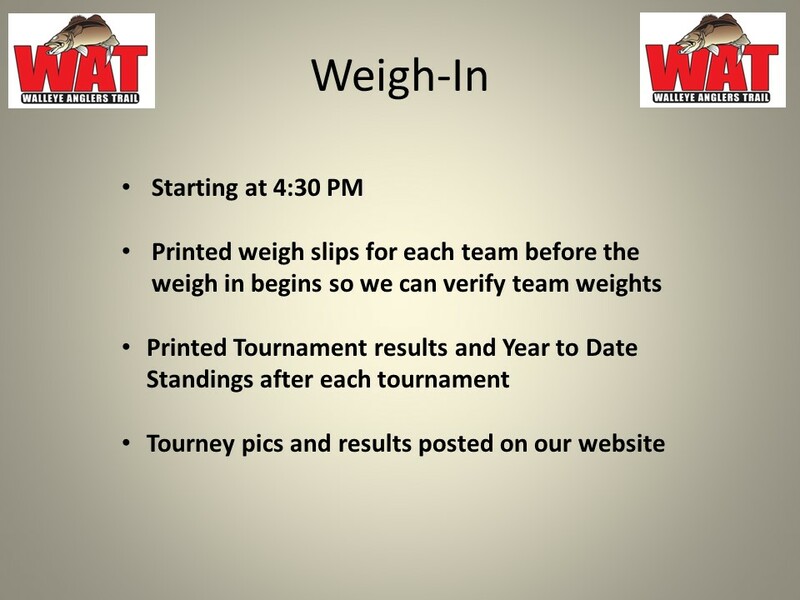 The video weigh-in for the tournament will take place at Tuna’s Bar in Genoa at 4:30 p.m. April 2. The public is also invited to Tuna’s Friday, March 31 for a 6:30 p.m. social and seminar with many of the W.A.T. anglers. SPRING VALLEY, Ill. — Mother Nature didn’t bring her ‘A’ game, but a field of 61 teams did for the March 12 Walleye Anglers Trail season opener on the Illinois River at Spring Valley, Ill. 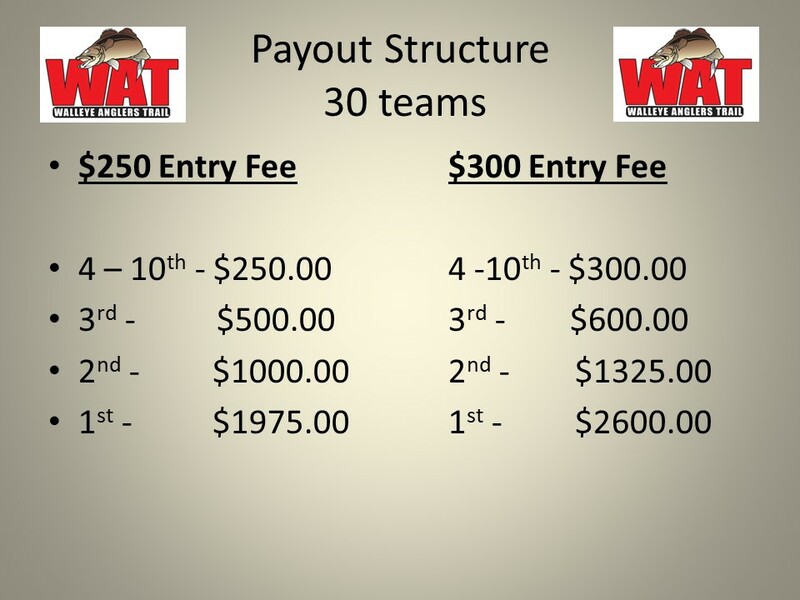 The tournament was a combined venture between the Illinois Walleye Trail and the Iowa-based W.A.T., the first of two this season as both circuits seek to grow participation and increase payouts. Anglers dealt with unseasonably cold temperatures that started in the teens and topped out in the 30s, but stable conditions on the country’s premier sauger fishery produced both quality and quantity at the scales. All of the 61 two-person teams weighed in at least three sauger (minimum size was 14 inches) while 54 teams put together six-fish limits. Nobody did it better than Gary Merkel and John Smith of Spring Valley, who weighed in six sauger for 17.58 pounds. Tom Giachetto Sr. and Tom Giachetto Jr. from nearby Ladd, Ill., were second at 14.71 pounds with Jim McDonald and Jeff Wennerstrom of Fox Lake, Ill., third at 14.06 pounds. 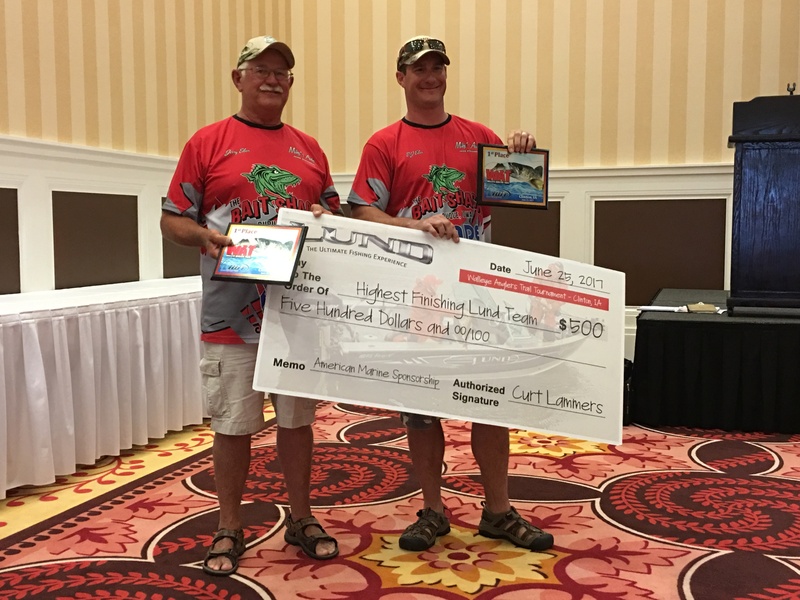 Merkel and Smith, tournament fishing partners for the past six years, put together a trolling pattern using leadcore line for their victory and a payday that totaled almost $6,500. Merkel and Smith got their program dialed in during the days leading up to the tournament. “Friday was really good prefishing,” said Merkel. Among the W.A.T. anglers, Neil Hammargren of Waterloo and Doug Newhoff of Cedar Falls were seventh overall with 12.99 pounds, a catch anchored by a 3.66-pound walleye. Art Lehrmann and Bob Thill were 10th (12.71), Marty Berns and Jason Hancock 11th (12.70) and Doug Schumacher and Dusty Herbst finished 13th (12.53). By most accounts, the combined venture was an overwhelming success.